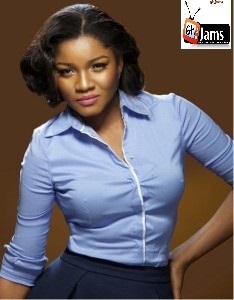 Omotola Jalade-Ekeinde has just revealed some of things she did while growing up. “I have two younger brothers and was a tomboy, fiercely independent. boys from a very young age. They found me too much, because I knew what I wanted and I’d boss them around. In those days my mother would joke that I would never find a husband,” these are her words. As God has destined her to be, Omotola ironically married her beau, when she was barely 16, and ever since, she has become a household name. The star actress said that she was close to her late father who used to treat her like a boy. Her father, a manager of Lagos Country Club, died in a car crash when she was just twelve years old.